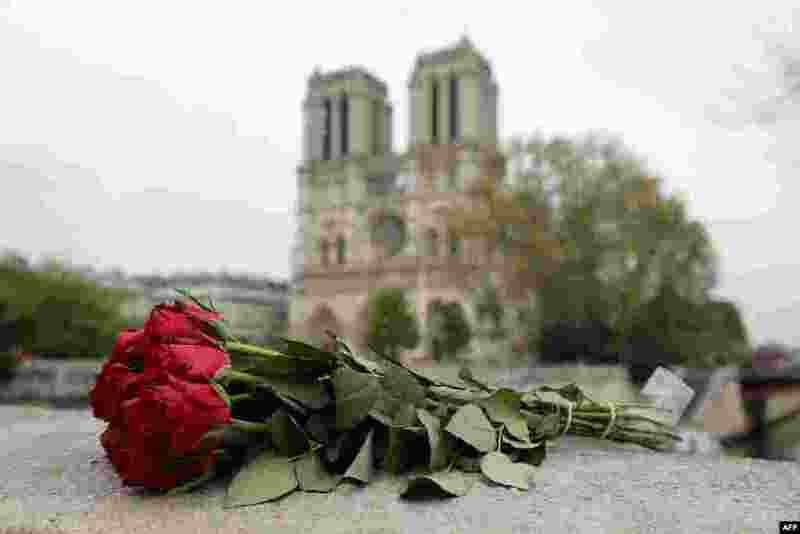 1 Roses have been laid near Notre Dame Cathedral a day after a fire devastated the cathedral in central Paris, April 16, 2019. 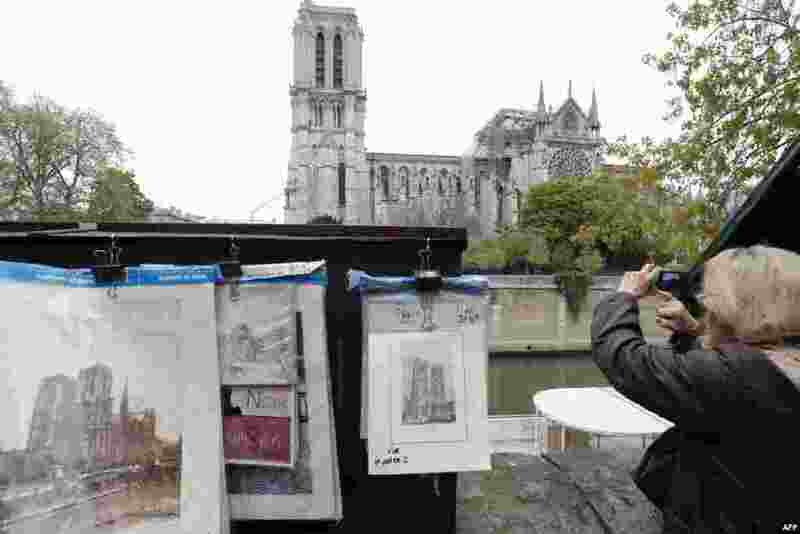 2 A vintage picture of Notre-Dame-de-Paris cathedral is displayed outside the Cathedral a day after a fire devastated the 12th-century landmark in central Paris, France. 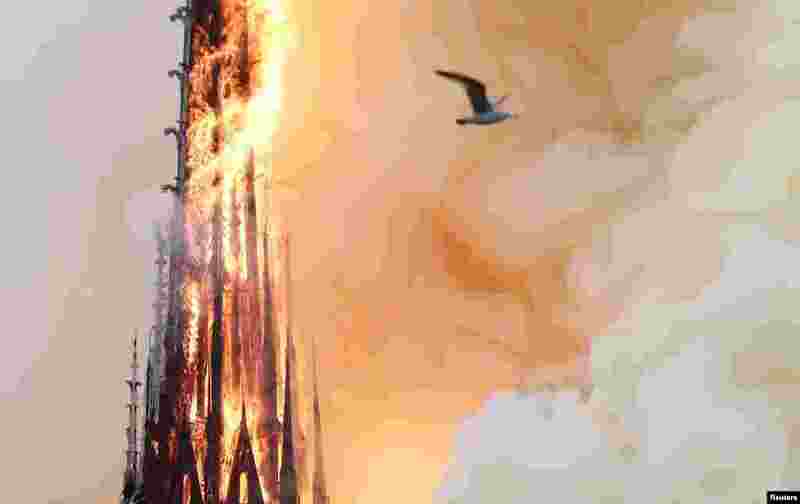 3 Smoke billows as fire engulfs the spire of Notre Dame Cathedral in Paris, France, April 15, 2019. 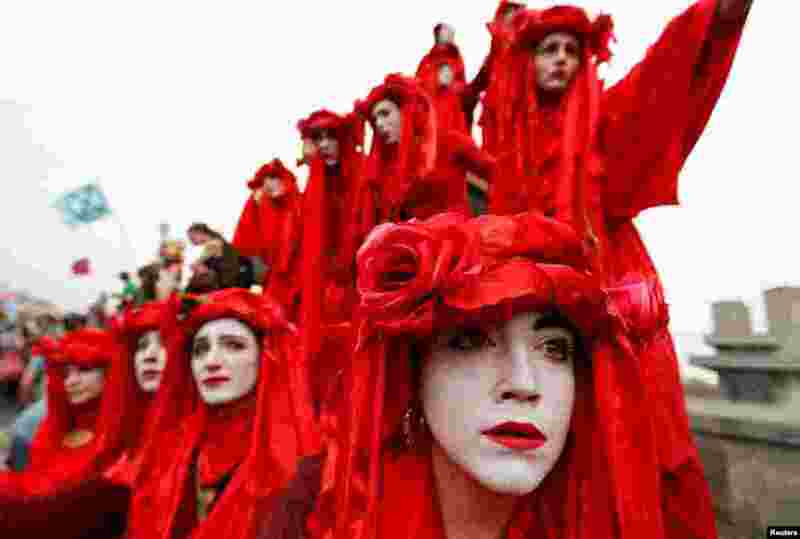 4 Performers demonstrate at Waterloo Bridge during the Extinction Rebellion protest in London, Britain.